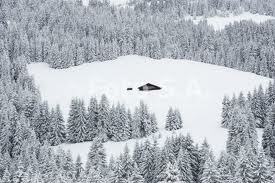 When I think of winter, I often think of it in terms of bundling up, holing up and hibernating indoors. Living in Boston, winter often felt like an isolating time of year for me. 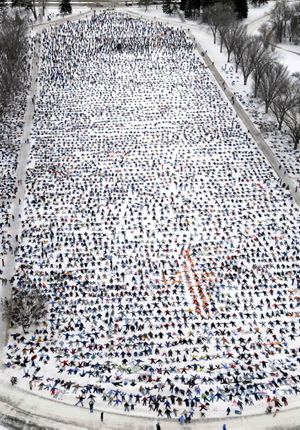 In 1997 Bismarck, North Dakota broke the record for the most simultaneous snow angels made in the Guinness Book of World Records. 8,962 people came together to leave their angelic imprints in the snow. 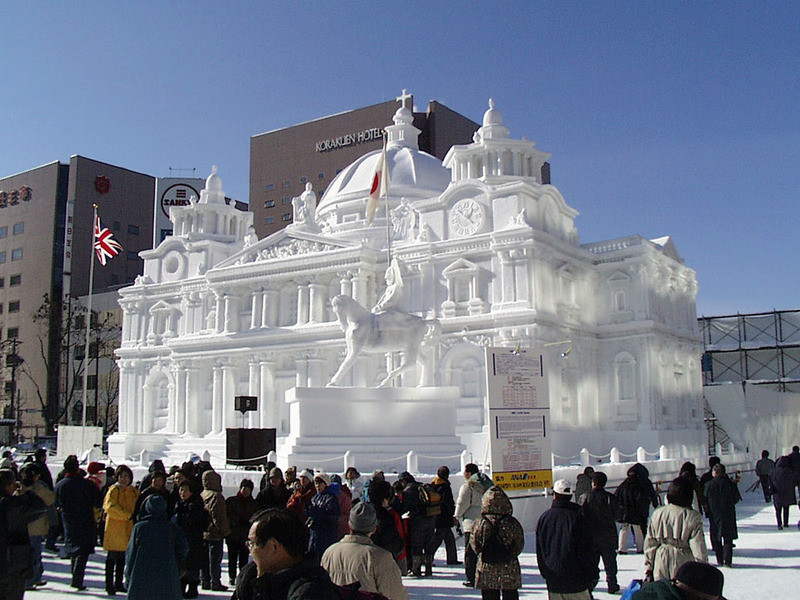 In Sapporo, Japan, they have an annual week-long snow festival that draws millions of people. They currently display around 400 snow sculptures, many of which the public can interact with such as mazes and slides for kids. Maybe it’s time to step it up from the typical snowman in the front yard to something a little more challenging? There’s arguably nothing more fun about the snow than a good snowball fight. It’s not often you can throw objects at people and laugh together about it. One of the most interesting snowball fights I came across in looking at the world’s largest snowball fights occurred during the Civil War. 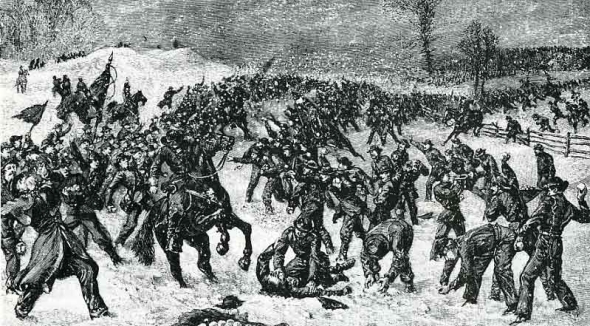 “The Great Snowball Battle of Rappahannock Academy” was the largest known snowball fight consisting of nearly 10,000 Confederate Soldiers. It’s hard to compete with a free-standing army and military strategy employed in carrying out a snowball fight. After some research into what I could find in terms of “winter bonding” around Boulder, I came across the Frozen Dead Guy Days festival in Nederland, CO. Basically in 1989, A Norwegian brought his grandfather’s body to the US to have it cryogenically frozen and was subsequently deported, leaving his cryo-pa behind in a shed. 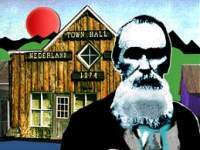 The locals, with a bit of a bizarre sense of humor, started a festival around him involving viewings (currently suspended), coffin races, lookalike contests and lots of other “frozen” activities. I’m sure there will be lots of crazy going on there, but I will have to check it out. I’d love to hear about other interesting events if anyone has any to share. The Bismarck ND snow angel record was set in 2007, not 1997. You are currently reading Winter: the great ice breaker at 52 To Do.